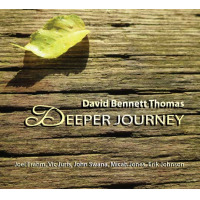 Pianist David Bennett Thomas is a bit of a Renaissance guy when it comes to music. A gifted composer of classical and choral, chamber and orchestral music, he also veers on occasion into the jazz world. He brings to jazz a cerebral approach that is also engaging on a purely kick-back-and-listen level. It is with repeated listens that the music reveals its depth. 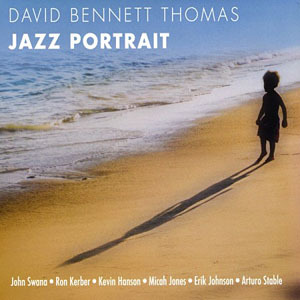 Bennett's 2012 jazz offering, Jazz Portrait (Vectordisc Records) took for its inspiration the writing of James Joyce. 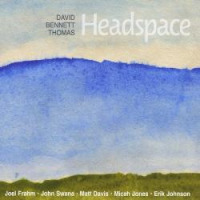 The inspiration for Headspace is uncertain, but the sound made by six master musicians playing Bennett's forward-looking compositions with precision and verveand some funkinesssound like an offshoot of pianist Chick Corea's Elektric band of the late 1980s, soaring off to the stars. "Don't Be A Stranger" opens the set of Thomas originals. Bennett's piano prowls, inviting Joel Frahm's tenor sax into the mix. It sounds like a composition tightly constructed, with clean lines and sharp angles. Matt Davis adds some guitar sweetening, and the disc's trump card, John Swanathe guy blowing the sound toward the twenty-second century sneaks in on the EVI, Electronic Valve Instrument. The EVI is a synthesizer for brass players. Swana played trumpet until medical problems put a crimp in his embouchure. His current EVI playing sounds nothing like a trumpet. It sounds like an instrument from outer space, from an alien culture of an advanced technology, and it, in the hands of Swana, is a perfect fit for Thomas's cultivated and forward- leaning ensemble. On "Christina's World 1948" Bennett and the band paint a forlorn mood, with the leader shining on his intricate solo; while "Learn How to Dance" has a funky, cutting-the-rug feeling, with Frahm sounding especially tangy on tenor. The title tune takes the funk mood in a darker direction. "Moxie" is vivacious and smart; "Pale Sky" showcases guitarist Matt Davis in a pensive mode, and the closer, "Driving Home Music," rolls in the direction of the abode on a smooth cruise control, with Swana's EVI giving the tires an anti- gravitational lift that has them almost leaving the road, while Frahm's robust tenor pulls them back down, for a fine close out to an excellent recording. Track Listing: Don't Be a Stranger; Two If By Sea; New Ev'ry Morning; Christina's World 1948; Tides; Learn How to Dance; Headspace; Never Will I leave You; Moxie; Pale Sky; Driving Home Music. Personnel: Joel Frahm: soprano and tenor saxophones (1, 2, 4, 6, 9, 11); David Bennett Thomas: piano; John Swana: EVI (1, 2, 6, 9, 11); Matt Davis: guitar; Micah Jones: bass; Erik Johnson: drums (1, 2, 4, 5, 6, 7, 10).